Pork loin, pepper jack cheese, Vidalia onion, spinach, & Carolina gold BBQ sauce. Served on a hoagie or wheatberry bread. Corned beef, swiss cheese, sauerkraut, & Momma Momma Sauce (our version of a comeback sauce). Served on rye bread. 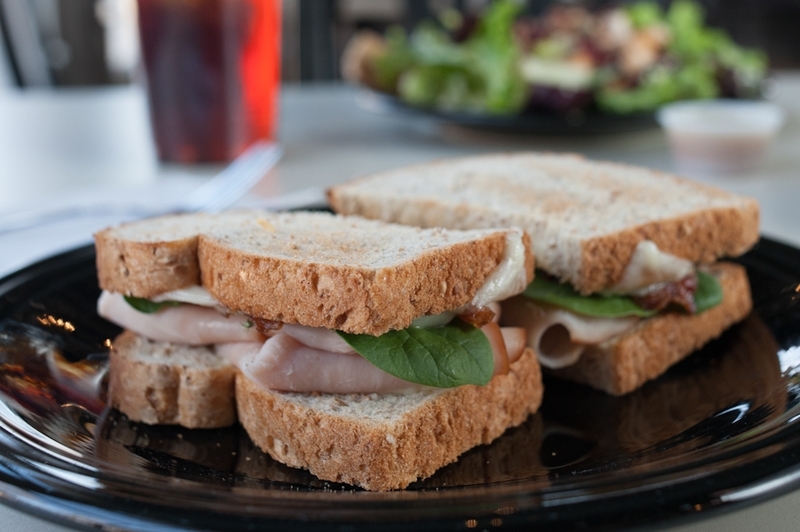 Smoked turkey, bacon, provolone cheese, spinach, & pesto mayo. Served on a hoagie or wheatberry bread. Top round roast beef, sharp cheddar, spinach, & mustard horseradish mayo sauce. Served on a hoagie or wheatberry bread. Homemade chicken salad with celery, & dried cranberries. Served on a hoagie or wheatberry bread. Homemade tuna salad with apples & celery in a light dill dressing. Served on wheatberry bread. Cheddar cheeses, parmesan, roasted red peppers, & pecans. Served on wheatberry bread. Grilled pimento cheese with a thin layer of strawberry hot pepper jelly served on wheatberry bread. Made the classic way with a hint of seasoning. Served on wheatberry bread. 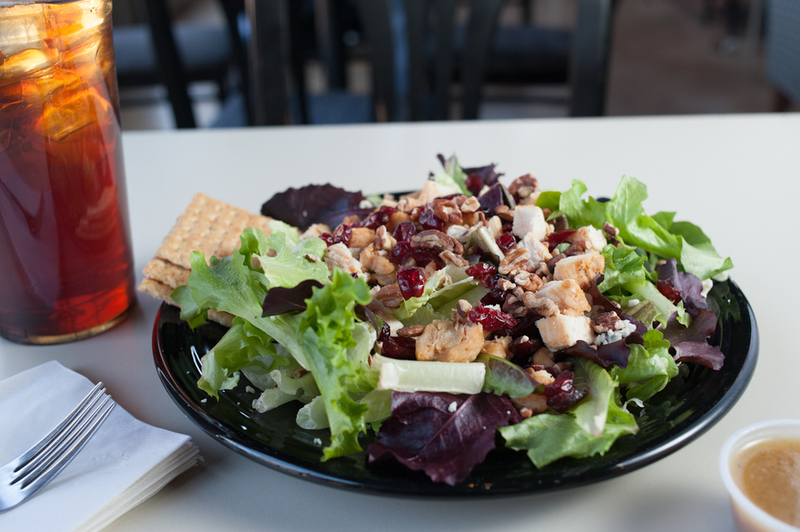 Fresh mixed greens, grilled chicken, dried cranberries, roasted pecans, & bleu cheese. Served with Leaf Sauce (our homemade vinaigrette). Fresh mixed greens, grilled chicken, bacon, & tomatoes. 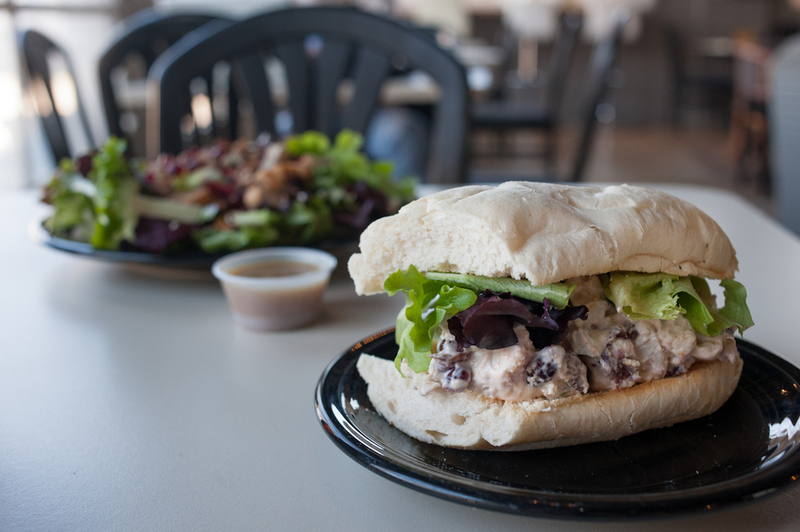 Served with our homemade Ranch Dressing. Like us on Facebook to see our Soup of the Day! 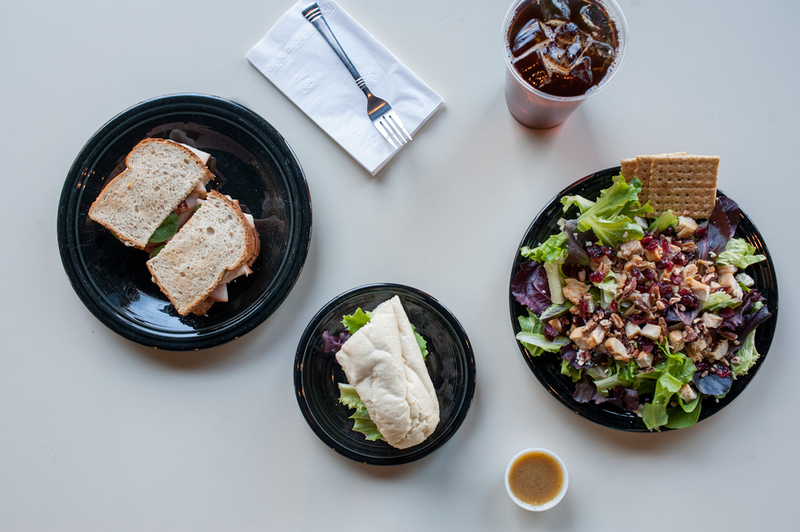 All sandwich spreads, soups, & sides are available in pints & quarts! Check out our Catering page for more information.